It was the original RACF report that first got the attention of Great Schools for All. GS4A has become convinced that it is the concentration of poverty in our city, more than any other factor, which contributes to low achievement and low graduation rates. It is not about how much families care, or how hard children work. It is not about RCSD capacity to change, to somehow do better, though there will always be issues of functionality and capacity facing any large urban school district. From the very start, GS4A’s agenda has been shaped by the evidence that concentrated poverty is the key difference-maker in achievement and graduation. That’s why we read the recent news with such interest, and such concern. That second affirmation especially lies squarely in the GS4A wheelhouse. 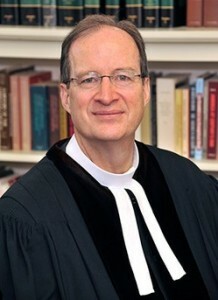 My day job is in the church. We are an institution, more than government, business, education and many others, where change comes slowly and is often unwelcome. 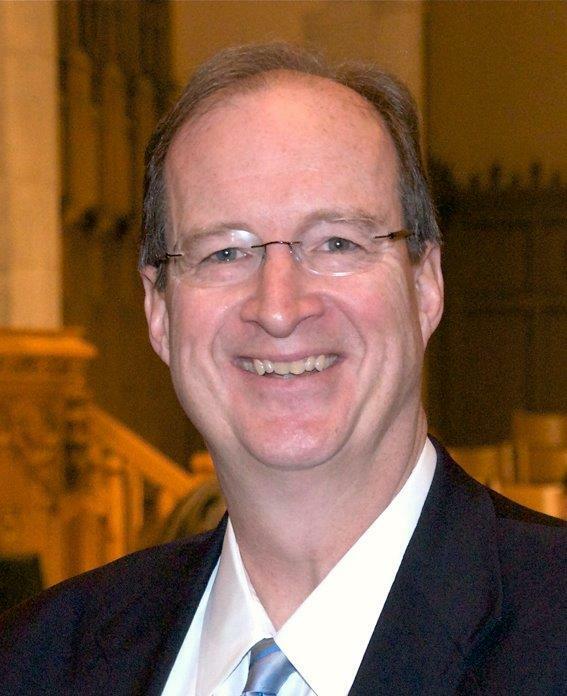 The church historian Martin Marty once joked that it takes 500 years for the church to change its mind on anything! So I understand how difficult such deep structural and organizational change can be. I am not a numbers person, but the numbers tell a story. Poverty is getting worse in our community, more concentrated. So achievement levels and graduation rates cannot change substantively. They just can’t, even with the best of intentions and the most dedicated of practitioners. And so we are looking at another generation of our children facing the cruel and crushing cycle of poverty. It will take many people and many ideas to change the course of this ship. But the ideas need to be big— no tweaking around the edges. And the political will must be huge—all in. 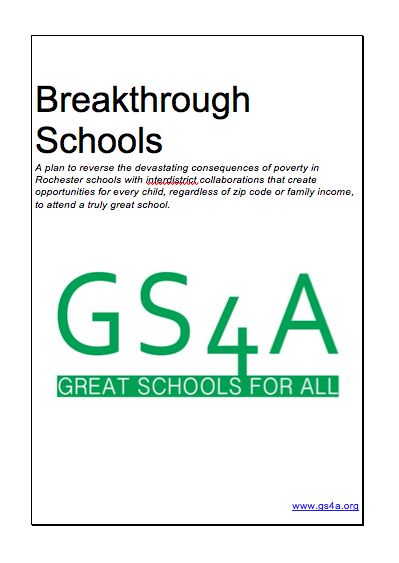 The GS4A proposal for a network of inter-district magnet schools that will offer distinctive programming and achieve a 50/50 poverty split is not a panacea, magic pill, or silver bullet. But it is bold. And it has been proven in other communities to move the needle. Is Rochester ready to try something truly different, something big, something bold? At GS4A, we think the answer is yes. And we are sure that more of the same approach to education will lead to more of the same disheartening headlines. I grew up in small-town Ohio, and from the moment school ended in the spring until the first day of class in the fall, you could find me playing sandlot baseball. We played in a field – no pitcher’s mound, no fences, no backstops, no baselines, no bases, actually. If we didn’t have enough players to field two full teams, we agreed to hit to one side of the field or the other, and we sometimes played “pitcher’s hand,” where the pitcher became the de facto first baseman. We umpired the games ourselves, and every so often a disagreement would end up in a little fistfight, that would quickly be settled. As I said, we played in a field, a real field. The grass was rarely cut (we never knew who actually owned the field), and there were rocks and bumps and uneven places throughout. There were few “true hops” —the kind of predictable bounce you expect on a field that is level and well-maintained. Instead, the ball would bounce where it shouldn’t and one of us would get whacked in the face, left with a split lip or a bloody nose. That’s what happens when the field isn’t even. Still, we kept coming back and we played on. It is one of my distinct childhood memories. Sometimes you have nowhere to play except on that uneven field. But a level field is always better — because the players always have a better chance to succeed when they can see the ball coming and know how it will bounce. What does this have to do with the Rochester city schools? We know that there are dedicated and talented administrators working at 131 W. Broad Street who are committed to raising achievement. They have crafted an action plan that is bold and creative. We know, because we meet them every day, that there are wonderful principals and teachers in each of the buildings. They teach because they care. They are proud of their profession and committed to their students. We know that families care. I have participated in the district’s “attendance blitzes,” and while every so often we encounter a family whose child is not in the classroom for no particular good reason, what we most often encounter is a family trying to make it work — multiple jobs, unsafe neighborhoods, transportation issues. Yes, families do overcome odds, but the myth that children and families can succeed if they just increase their effort is, to me, just that — a myth. There’s just so much you can do when the field is uneven and the ball bounces where it should not. We know that many people in this community care and want change. Lots of organizations are committed to supporting education. I have lived in Rochester for 14 years, so I don’t have a long history, but I believe it when people say the tone of the conversation over the last several years is different. It is more hopeful, more positive. I am not a policy person, nor an educator. For these purposes, what I am is a neighbor and citizen, an amateur who cares. But I have become convinced, through what we learned in Raleigh, that things ultimately can’t change unless the playing field is levelled. Administrators, teachers, community members and particularly children and family members are doing all they can. But if a ball is going one way, hits a rock and bounces in a different direction, hitting you in the face, what can you do? Yes, we as a community need to provide teachers and students with the best tools possible, helping them make the most of a very rocky playing field. But I am also convinced that levelling that field — through deconcentrating poverty, through racial and socio-economic desegregation, though other structural means — will make the game so much more enjoyable, for fans to watch and players to play. Welcome to Great Schools For All (GS4A). We are grateful that you have found our website, and, at a deeper level, we hope you find our mission and vision compelling, so much so that you would connect with our work. Who are we? We are a group of citizens, urban and suburban, residents of Monroe County, who care very much about the education our children are experiencing with a special focus on the educational experience in the city of Rochester. We are teachers, writers, business people, not-for-profit leaders, faith leaders, parents, grandparents. Most of us do not have education related careers, but we all care deeply about education. We know that children can learn, teachers can teach and families want to support their children. We know that individual children and families can overcome the great barriers of urban poverty to succeed; we also know the documented and extraordinarily disproportionate concentration of poverty in the city of Rochester makes learning extremely difficult. We know that all urban school systems in the U.S. face problems; Rochester’s problems are more pronounced, as documented in the recent Rochester Area Community Foundation report, which is now receiving wide-spread attention. We are glad for the attention; it highlights the critical need of our work. We know that many individuals and groups in our community care about children and education, and we are glad to work with them and step out of the way as needed. Our unique contributions exist both in who we are (grass roots and grass tops, broad-based) and in our approach. Our focus is on discovering ways to de-concentrate levels of poverty. That naturally would involve different forms of collaboration. Last year, we visited Raleigh, N.C., and learned much from them. We also know that communities across the country are engaging in new ways to address this problem. We hope to learn from them. 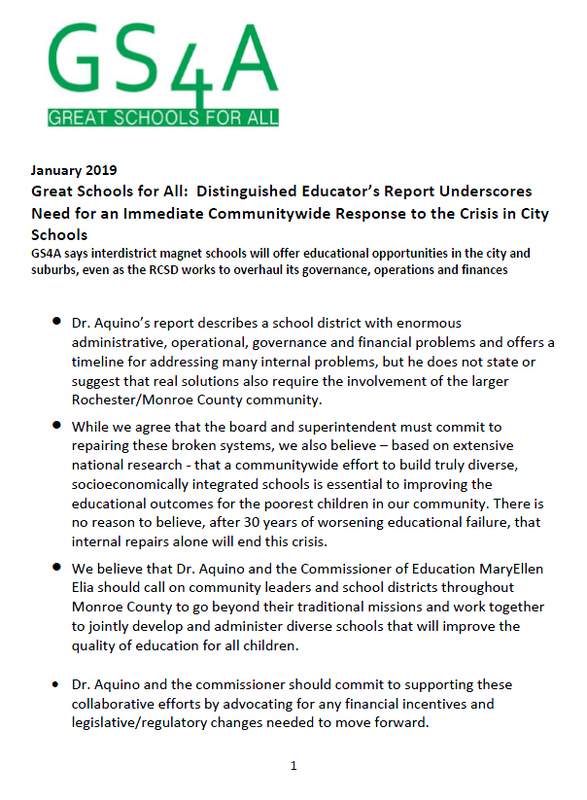 We do not specifically advocate for school consolidation in Monroe County; we do strongly believe that reversing the decline of city schools is most likely to occur in concert with a spectrum of voluntary programs aimed at achieving socio-economic integration of schools across Monroe County. To that end we have had several community-wide events that have generated five working groups, which you can read more about throughout this website. This is a very organic and fluid movement. We have been heartened by the level of enthusiasm and commitment we have experienced thus far – it is an indication of how much this community cares about its children and in setting us on a different future course. Join us! Share your questions, concerns and ideas with us! Get involved, if not with GS4A, then in some form or fashion in our community. Our children deserve it, and the need is now greater than ever.